Every holiday season, Surprised by Hope launches its 100 Christmas Dollies campaign and the most commonly remembered message is that children receive dollies for Christmas. But the program is so much more than that. Those dollies are indeed a lovely gift but, even more so, the money raised from dolly sponsorship is gifted to a church who has applied what they’ve learned from our business teachings toward building their church. The funds are used to advance their building progress—not to build a church for them—but to advance what they’ve already started for themselves. In 2013 Mountain of Glory Church received iron bars for the windows of their church. In 2014 Grace Abundance Church received a partial payment on the land they purchased for their church. 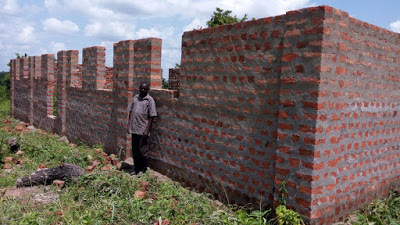 In 2015 Victory Christian Center received walls to sit on the foundation they’d built. This year is no different. PEMA Church will receive a roof to set atop the walls they’ve constructed. 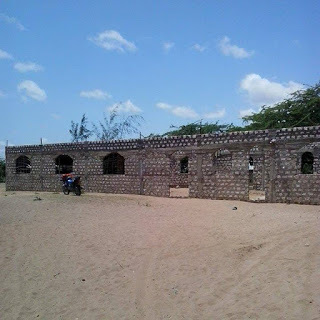 Join together with our brothers and sisters in Christ and sponsor a dolly to add a roof to PEMA Church in Mjahareni, Kenya. We are leaving little bits of love and legacy around East Africa by sharing our resources not with people who are waiting and expecting, but with people who are working hard and completely surprised by hope!